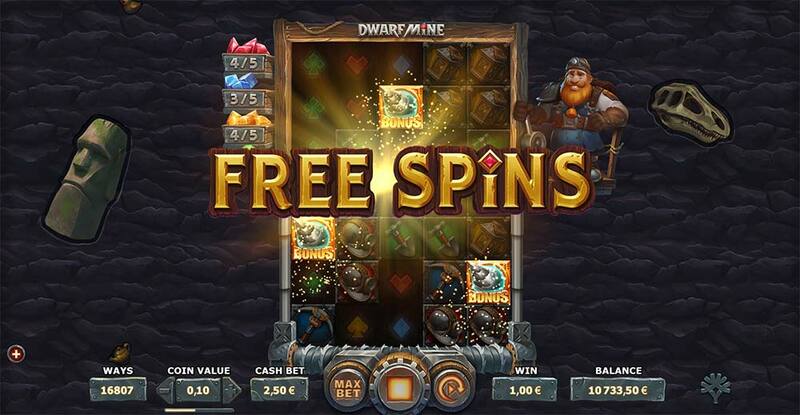 We Go Digging for Hidden Treasures in the New Online Slot “Dwarf Mine” from Yggdrasil Gaming! 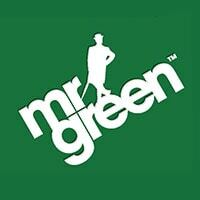 Mr Green Casino currently has the latest Yggdrasil online slot Dwarf Mine as an exclusive release at their casino, with the official release date of the 21st of March so you will be waiting a few more days before it’s playable at any other casinos. 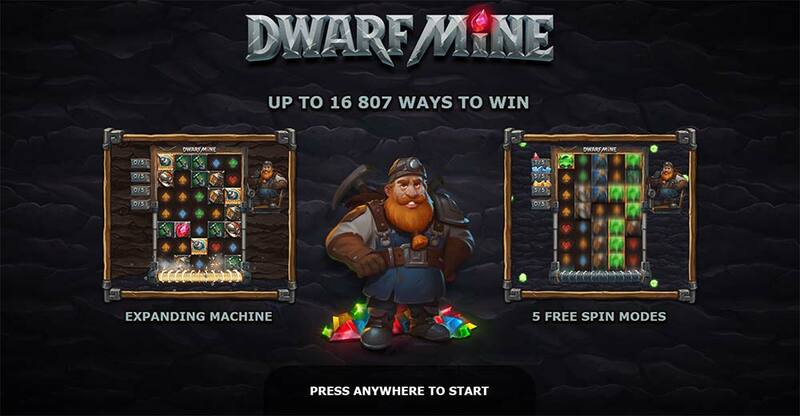 Dwarf Mine starts with a regular 5×4 reel layout in the base game and uses a “pay anyway” payline format and starts with 1024 ways to win, during the gameplay however additional rows can be mined beneath this slot when the special Bonus Symbol lands in view expanding up to 3 extra rows, and this, in turn, increases the paylines up to a massive 16807 ways to win. To the left of this slot are 4 different gem collection meters, when these are filled up you are granted a special Collection Free Spins round with some much higher paying symbols based on your average bet size before triggering the feature. The special collection gems themselves can only be mined from the extra rows that appear when the scatter lands in view, so even if you don’t get 3 scatters the expanding rows are key to triggering these special free spin modes. 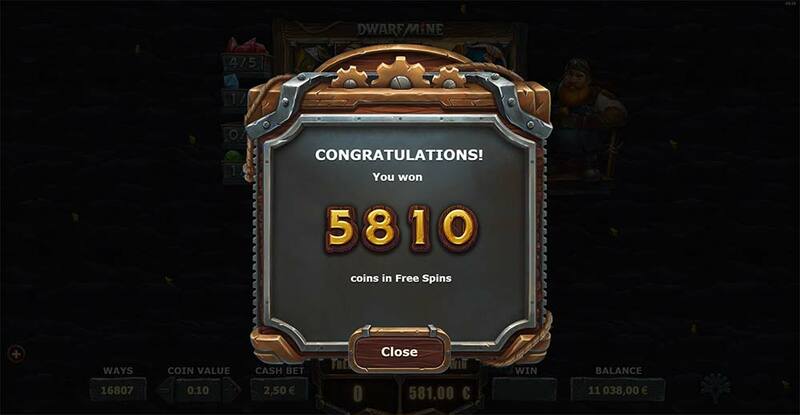 The regular free spins are triggered by landing 3 scatters, this can be from a single base game spin, or from revealing additional scatters during the mining process, so for example 2 scatters would reveal 2 extra rows, and contained in these rows could be the 3rd scatter for a full bonus trigger. The base gameplay is fairly solid with 5 different free spins modes although they all do play out in a similar fashion and there is always something close to being triggered which adds to the excitement and anticipation. Apart from the different free spins modes, there are no additional random features that can occur and a distinct lack of wild symbols to help with winning combinations. 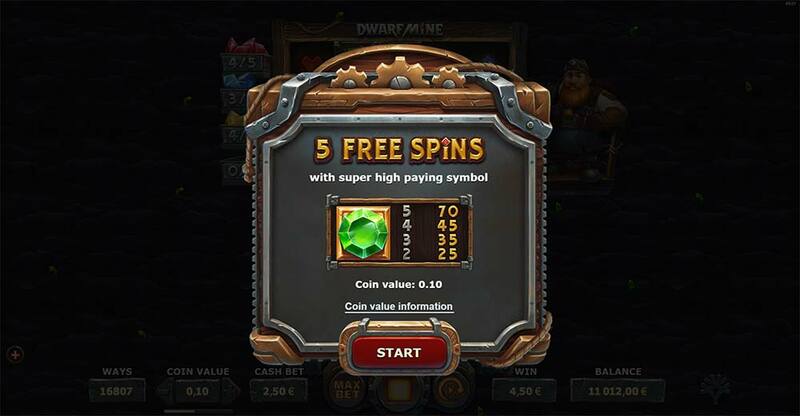 There are 5 different free spin modes to check out in Dwarf Mine, the regular version is triggered by landing 3 of the special Scatter symbols in the base game, either in view or from mining out the extra rows, the collection free spins are instantly triggered once 5 matching gems have been collected. 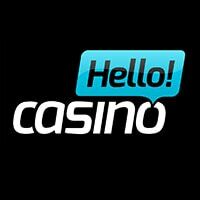 10 free spins are awarded and the reels are fully expanding with 3 extra rows and 16807 Ways, there are no re-triggers or gem collections active during the free spins hence no chance of a re-trigger. The collection free spins are triggered once 5 matching gem colours have been collected with just 5 free spins being awarded. The value of these high paying gemstones is based on your average stake whilst in the collection phase, so don’t try to be smart and increase your bet when only the final gem needs collecting as Yggdrasil has obviously countered this with the average stake size. The special gems colours are quite reasonably stacked so it is possible to score some decent wins during these bonuses, but with just 5 spins they can at the same time be very disappointing. 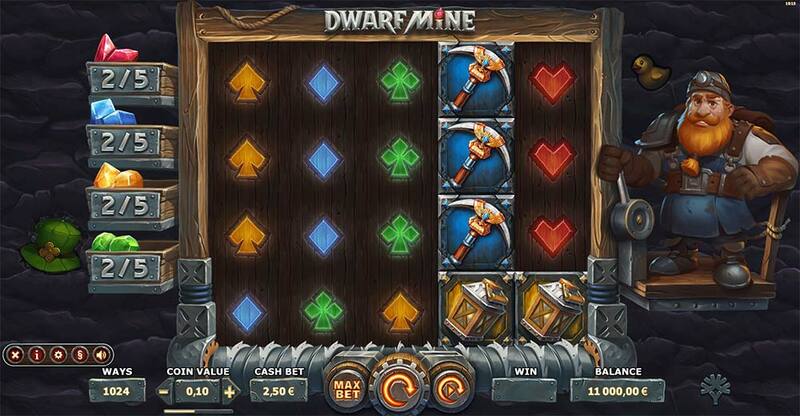 Dwarf Mine is visually a very polished slot release from Yggdrasil as you would expect, and the expanding mining scatter feature does work really nicely. The gem collection is a nice touch giving a great sense of anticipation that a new bonus round is just around the corner. The main issue as a player though is a lack of any wild symbols, and even more so no random or special features that can occur to do something a bit special. The RTP is solid at 96.8% but the distinct lack of anything “special” makes the gameplay feel slightly dull after a few bonuses and collection free spins have been played out. 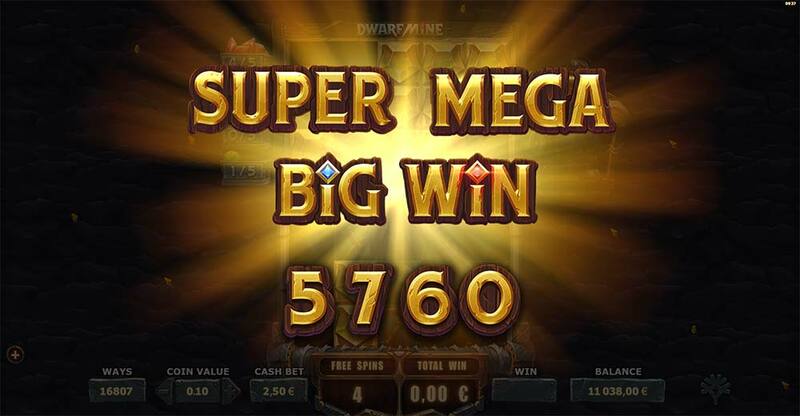 In our playtests, we did manage some very decent wins (over 200x stake) with the collection gem free spins but the overall fun factor is a little lost without more special features occurring.